What whey protein is best for me? This is a question many aspiring bodybuilders ask themselves on a regular basis. We all know whey protein can play a crucial part in muscle building but the main dilemma is which one to use as there are several kinds and brands on the market. 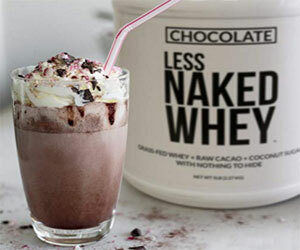 We have different types of whey protein like whey protein concentrate and whey protein isolate. Whey protein concentrate is usually higher in fat, lactose and cholesterol and cheaper as compared to whey protein isolate which contains virtually no fat, lactose and cholesterol and is more expensive. 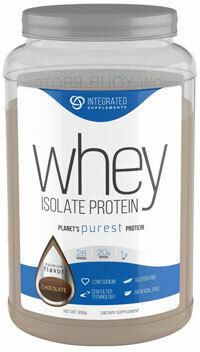 Whey protein isolate has the highest biological value(BV) at 154 of all proteins. The higher the value, the faster the digestion and absorption rate, so a whey protein isolate is very effective for fast muscle repair and rebuild for growth. Fast absorption of essential amino acids into the muscle cells ensures your body reverts back to anabolic mode in no time that is your muscles are sustained for development. If you don't take a fast-acting protein post-workout usually within a few minutes, your muscles can go into catabolic mode and muscle catabolism means losing muscle mass. You don't want to do all these hard workouts for nothing and not making optimum muscle gains. This is why the post-workout protein drink is absolutely critical and crucial and a whey protein isolate is the ideal choice. There are many whey protein isolates on the market and if you're rather the health-conscious individual, I would recommend you go for the Whey Protein Isolate 100% Natural devoid of artificial sweeteners like Integrated Supplements for example. Integrated Supplements produce some of the best supplements in the industry in terms of quality and health. Their whey protein isolates are manufactured using the Cross-Flow Microfiltration(CFM) process which ensures you get the purest protein 99% undenatured. This is a high-quality and superior protein. 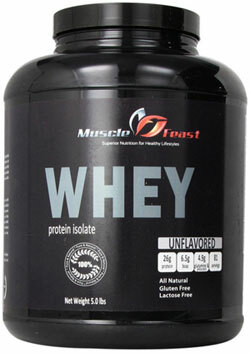 Another high-quality natural whey protein isolate is by Muscle Feast. It comes in a 5 Lbs tub and can give you more bang for your buck. Fast-digesting protein - For optimal muscle repair and growth. A whey protein isolate is good at that. Fast-acting carbohydrates - To trigger an insulin spike and supply energy fast to exhausted muscles for restoration and replenishment of depleted muscle glycogen stores(sugar storage cells). If not taken, this can lead to muscle tissues breakdown which can result in weak, small and flat muscles. Carbs are vital post-workout, usually simple carbs like dextrose/glucose are recommended. Potassium - Good for muscle recovery. Potassium is an electrolyte and is effective against muscle cramps and soreness and muscle fatigue. Bananas have a great amount of potassium and can also be used as a carb post-workout. Jean Lam is the webmaster of Body Building Resource which provides articles on weight training, nutrition and fitness, body building book and DVDs.